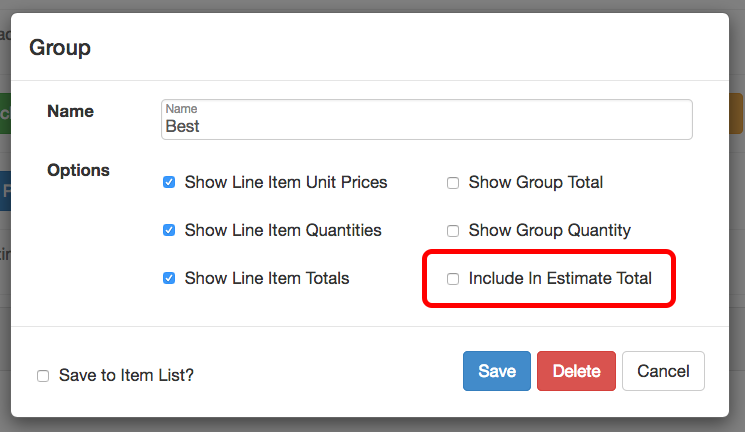 You can make multiple offerings for your customers to choose from using item groups. 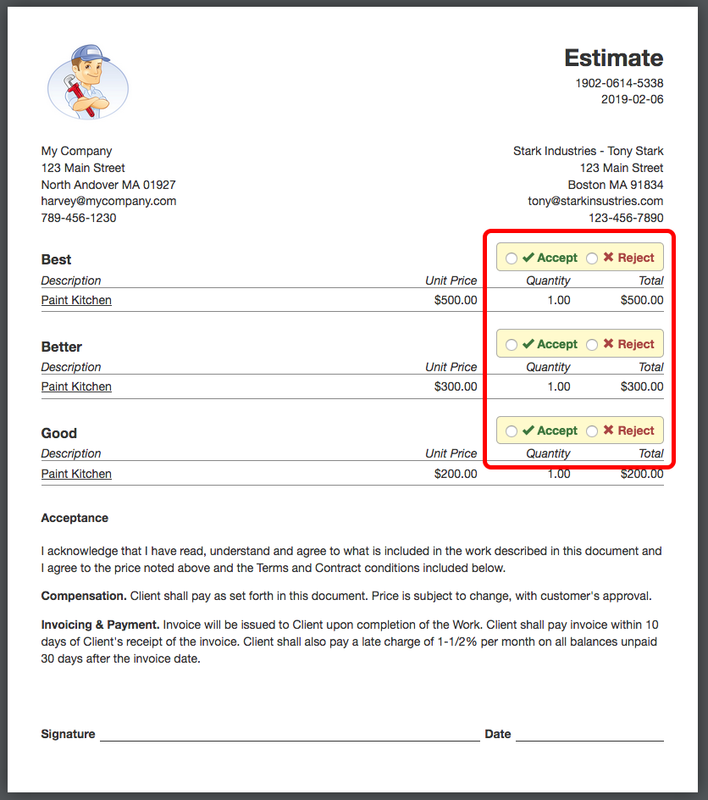 When using multiple groups the customer will have the option to accept or decline each off you provide for them. 1.) Add each of your services in separate groups giving them a unique name EX. Option 1, Option 2, or Good, Better, Best. If you are not familiar with groups you can learn more about them here. 2.) 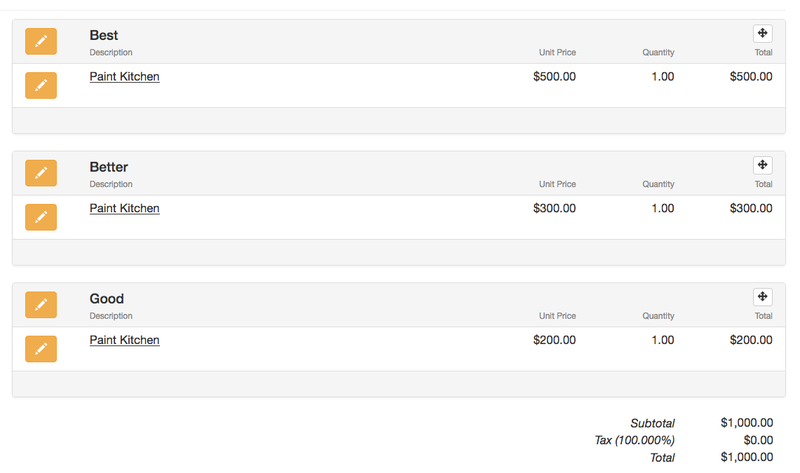 After you have added all of your items we need to exclude them from the project. 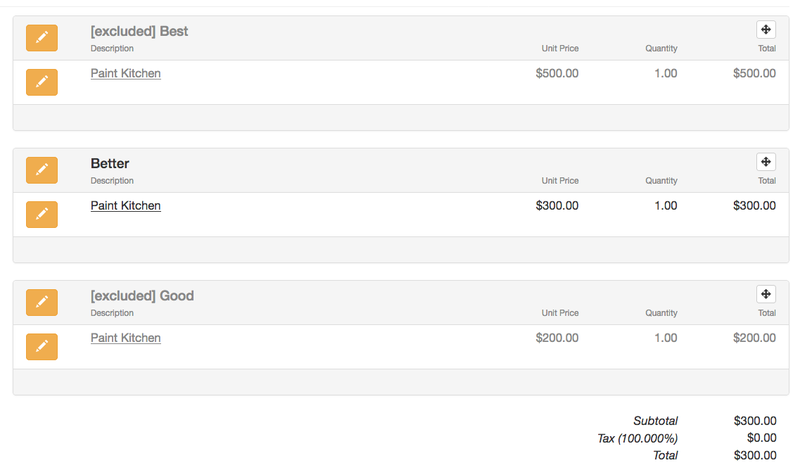 This will trigger the accept or decline option on each of these in the customer portal. 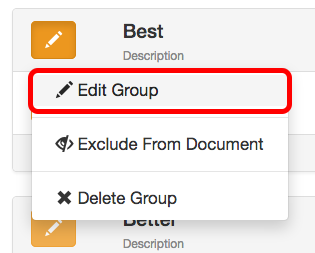 To do this select the yellow edit button to the left of the group name and then de-select the Include In Estimate Total option then Save. Repeat this step for each group. Once complete your proposal in the customer portal will now have an accept or decline option on each group so your customer can choose from one of your options. Once the client has selected which option they want the options that have been declined will automatically be excluded from the project. 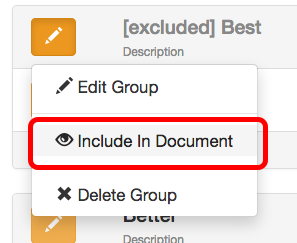 The excluded items can be delete or re-included at any point by selecting the Include in Document option from the group menu.